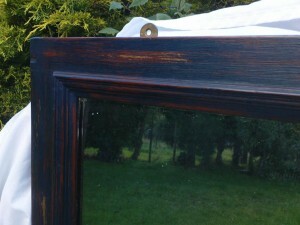 A restored mirror in shabby chic distressed maroon and dark blue, old-fashioned distressed mirror plate with pale glitter in the background. 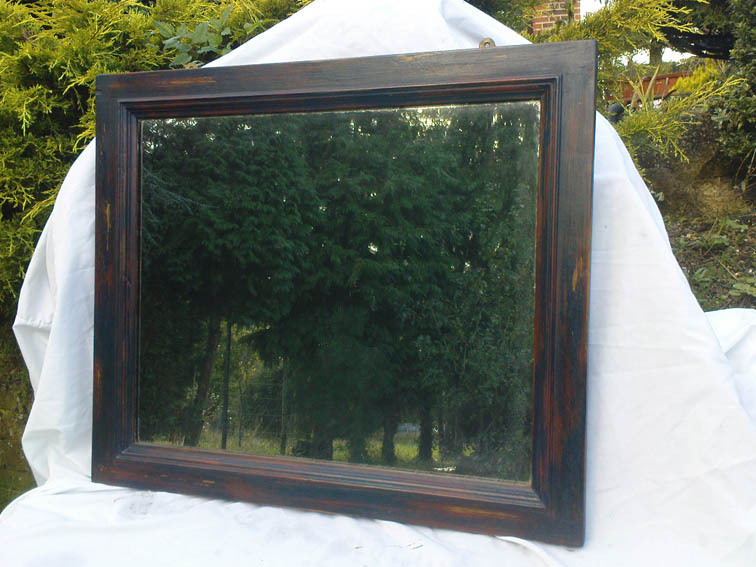 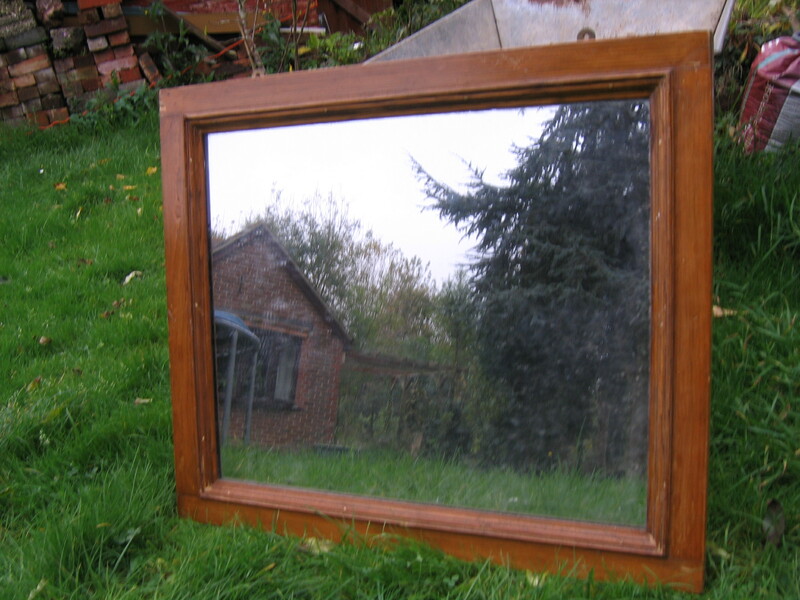 This mirror is very heavy and is provided with 2 mirror plates to screw it on a wall. 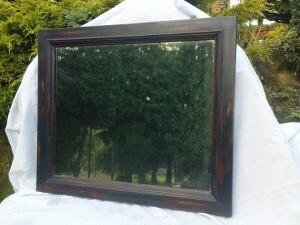 Size: 67 x 56.5 x 3 cm.